There are many reasons that traveling by foot is a benefit to you, Pittsburgh, your community, your neighborhood, and Allegheny County. As reported in a CNN news story, by each American walking for 30-minutes a day, as an alternative to driving, the planet would be saved 64 million tons of carbon dioxide, 6.5 million gallons of gas, and lose 13 pounds in a year. 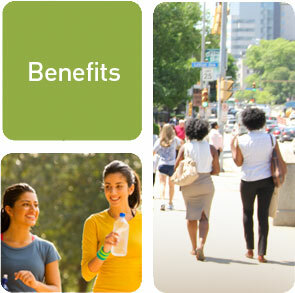 The benefits to your health and wellness can be greatly increased by regular exercise, including walking. Join us at WalkPittsburgh in "Making Pittsburgh and one of America's Most Walkable Cities"